When I see fliers such as this one (which hails from Havemeyer and South 4 Street Street) my heart breaks. 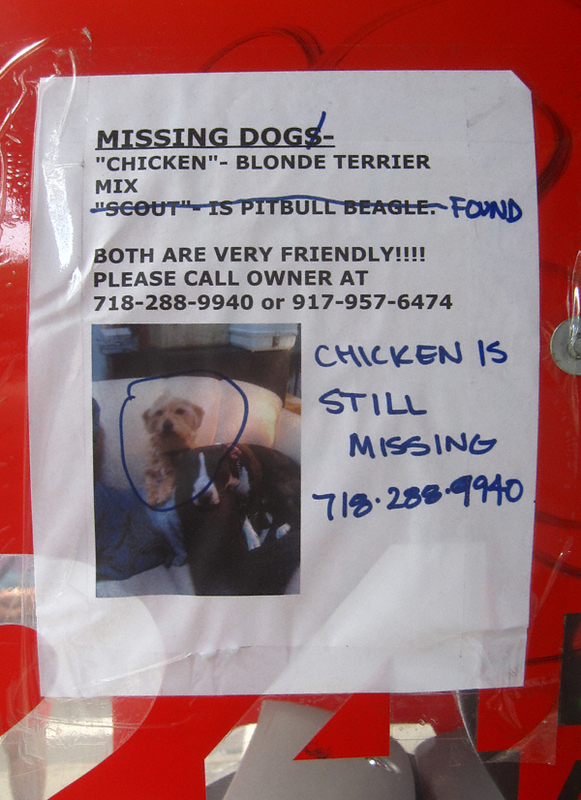 If you have seen Chicken, a blonde terrier mix who sports one of the coolest pet names I ever encountered, or know of his whereabouts please contact his “people” at the above-listed telephone number. Thanks!